The island of Quilalea is one of the southernmost islands in the Quirimbas archipelago, 30 nautical miles north of Pemba. It has one of the few secure deep water moorings in the area. Together with its sister island Sencar, it is one of the few properties in the archipelago that is located within a fully protected marine reserve, ensuring an abundance of marine life. 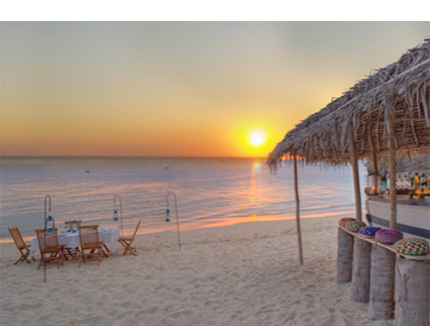 It is a hidden gem of the Indian Ocean, an ecological retreat with a relaxed and discreet style. Of approximately 86 acres (35 hectares) in size, the island is completely uninhabited. It is covered with autochthonous vegetation, with ancient baobab forests and an impressive flora and fauna. It has 4 large sandy beaches, the villas stretch along 2 of them, the main beach always has boat access and is a beautiful home to dozens of nested turtles. It is a true paradise for lovers of marine life and the experiences around it. Warm and humid throughout the year, with long sunny days and temperatures rarely below 24 degrees day and night. With winds that bring refreshing breezes, northeast of October to March and the south-southeast wind, slightly stronger but dry, from April to September. The rainy season begins at the end of October, with occasional light rains. From January to March are the hottest and wettest months, where temperatures often hit 35 degrees +, with tropical rains, most of the time in the evenings or during the night. From April to October are usually hot and dry months. The temperature of the water is warm throughout the year and ranges between 28-32 degrees +. In keeping with the uninhabited nature of the island, it has only nine beachfront villas, accommodating eighteen guests. 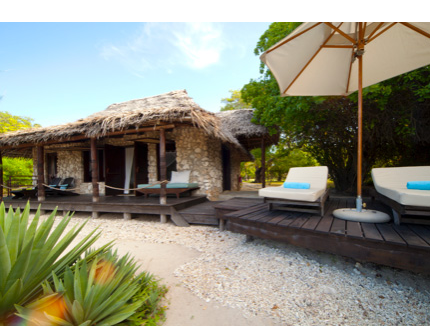 The villas are built with natural stone coral and thatch makuti, with natural finishes, indoor and outdoor showers, private terraces that extend to the beach and loungers to relax. 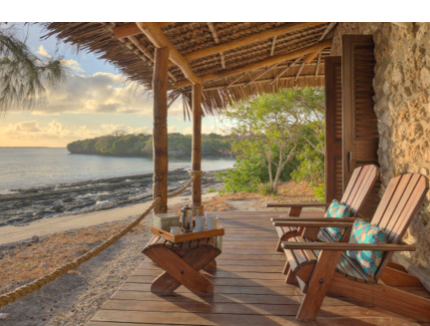 They are open plan and spacious, with elegant wood, cotton and materials such as rope, pebbles and rattan, which blend perfectly with the surroundings of the island. 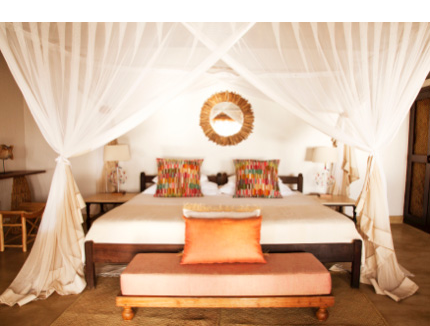 Guests can choose between three categories of villas: 4 Kaskazi Villas, 4 Kusi Villas and Villa Quilalea. Kusi Villas have premium locations, with an additional outside shower and beach room. 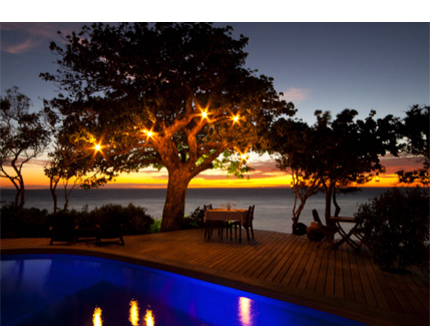 Villa Quilalea, on top of a cliff, offers the most amazing accommodation in the entire archipelago, with a private plunge pool, bathroom, dressing room, outdoor shower and its own separate living / dining room. The island can also be reserved in its entirety for a completely private experience. All villas have a unique energy control system by which guests can take control of their own eco-footprint. All the amenities are there if you wish, including mini bar and air conditioning, or have your villa chilled by the natural breeze. The villas can be configured as king size or twin, with large mosquito net and bathroom, including indoor and outdoor showers and double vanities. Outdoors there are beds and sunbeds on the terrace. 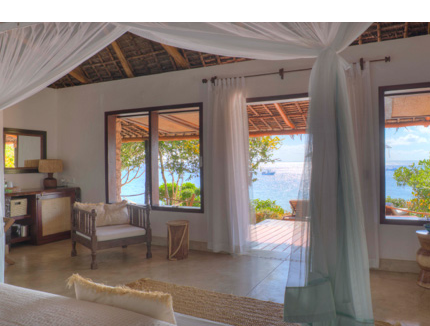 Villa Quilalea also has a bathroom with bath and separate dressing room, canopy bed and extension of the living area. Private infinity pool, living / dining room, large terraces, relaxation areas, gym and an incredibly private location, including access to the sea from a cliff staircase. Each “public” area of the hotel is designed with its particular ethos in mind, creating unique vibrations and experiences from which guests will find their favorite haven, be it a hammock under the trees, relax in the bar or in the pool. The main bar includes a cold area with large cushions to rest. The kitchen has been completely re-designed and equipped with art equipment, to provide a first level of gastronomy and a dining room with a wine cellar to taste the wines of the owner. There is also a Padi dive center, water sports, a TV room and media for those who wish to stay in touch, as well as a boutique with local crafts and designer beachwear. The kitchen focuses on the natural products available locally. A variety of fresh fish and seafood dominate the menu in a relaxed dining room. Guests receive a service that seeks to make the different gastronomic experiences through a variety of unique and special places. For lovers of good wine, there is a winery with wines from the owner’s 5 estates, as well as wines from the Chateau de Azura itself flown in from the Loire Valley. The winery is an excellent place for a more formal dining experience. 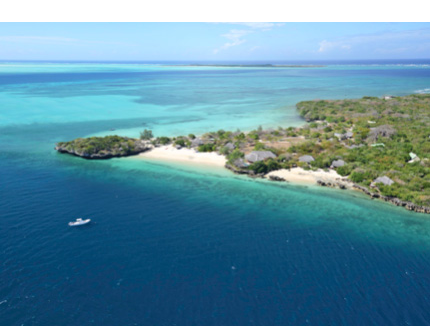 Guests can reach Azura Quilalea Private Island through flights to Pemba in Mozambique, from Johannesburg, Dar Es Salaam and Nairobi. From Pemba airport, it is a helicopter flight of only 25 minutes along the impressive Mozambique coast and over the islands of the Quirimbas Archipelago to the heliport of Azura Quilalea Private Island. The helicopter is operated by Archipelago Charters. 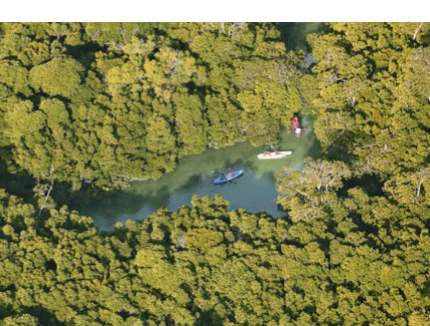 In case it is not available for any reason, an alternative transfer will be organized by fixed-wing aircraft to the Island of Quirimba by Azura, with the normal Quilalea-Quirimba boat connection. Visas are required for all nationalities except South Africans. It is advisable to have a visa before traveling, however this can be issued upon arrival in Pemba. Keep in mind to have cash for the visas. Mozambique is an area of malaria and adequate prophylaxis is advised, although Quilalea Island is considered a low risk area since it has no local population or any natural stagnant water. Guests coming from countries that are at risk of yellow fever (including Kenya, Tanzania, Congo and Angola) are required to present vaccination certificates. Local medical facilities are extremely limited. Basic supplies of first aid and popular medicines are available. It is advisable to bring any medication that may be required. Azura has Pemba’s Medivac Insurance for medical emergencies. To make the most of it and enjoy everything that is offered at Azura in Quilalea, a minimum of 5 nights is recommended.